“The physical launch of the reactor unit on the starboard side of the floating power plant Akademik Lomonosov happened on Friday. The reactor united reached the minimum controlled power level at 17.58 Moscow time,” a spokesperson for Rosatom told Ria Novosti. Comprehensive tests of the reactor will start within a few days, RBC reports. 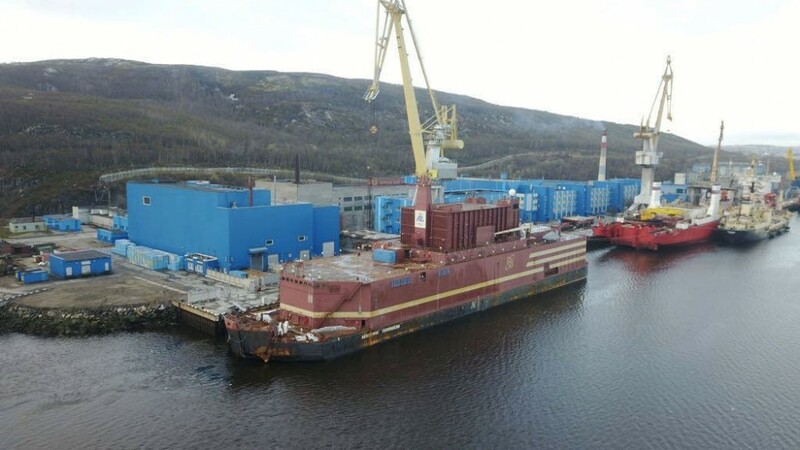 Testing will continue until first half of 2019, when the floating nuclear power plant will be towed from its current location at the Atomflot-base north of Murmansk where the plant is moored next to Russia’s fleet of nuclear powered icebreakers and service vessels. “Akademik Lomonosov” has two reactors and also the other will be test-started in the nearest future. Loading of the uranium fuel elements to the two on board reactors started in late July after safety procedures were approved by Rostekhnadzor, Russia’s nuclear watchdog agency. Originally, plans were to fuel the reactors at the shipyard in St. Petersburg where “Akademik Lomonosov” was built, but Rosatom last year agreed to with Norway’s Foreign Ministry to wait with the reactor testing till after the plant had been towed around the coast of Norway. The Norwegians were afraid of potential leakages of radioactivity in its coastal waters in case of troubles during the towing. The power plant was towed from St. Petersburg to Murmansk in May. The KLT-40S reactors on board “Akademik Lomonosov” are similar in design to the reactors powering the nuclear powered icebreakers. After reactor testing, the plan is to tow the plant across the Barents Sea and further east along the Northern Sea Route to the port of Pevek on the Chukotka Peninsula in the east Arctic next spring. The two KLT-40S reactor units can generate up to 70 MW of electric energy additional to providing thermal heating to the town of Pevek.